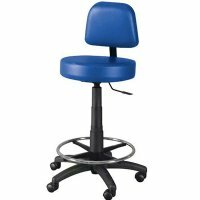 Winco Gas Lift Adjustable Stool - Pneumatic Shock stools all provide "one touch" height adjustment, comfortable padded seat and a sturdy 5-star, twin wheel base for smooth and safe operation. 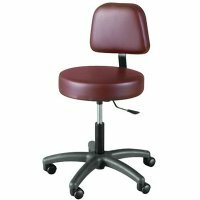 The stools are available with an adjustable back or backless style to meet your needs. 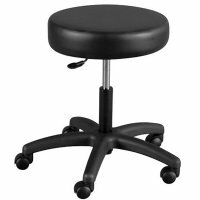 The Winco Gas Lift Adjustable Stools are offered in a variety of different colors of high grade durable vinyl made to last. 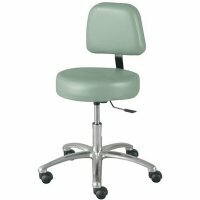 The pneumatic gas shock adjustable stools offer the best versatility and value for your seating needs.